Festival of Phu Quoc Palace was held on October 15th lunar year. Fishermen on the island here to burn incense and pray for the quiet sun. Time: Phu Quoc Palace Festival is held on October 15th lunar year. Fishermen on the island here to burn incense and pray for the calm sea, pray for the fish and shrimp season. The story of Dinh Quoc Phu Quoc festival: The story of Dinh Quoc Phu Quoc festival: The story that, from ancient times Phu Quoc residents mainly live by fishing net, many fishermen off the waves have not been back forever. And then one day suddenly a rock at the mouth of the sea. Given the inspiration, the people have a shrine to pray for the gods shelter. Initially made of leafy trees, spent many times restored, so far the palace is spacious, more surface but retains the ancient features as ancient. 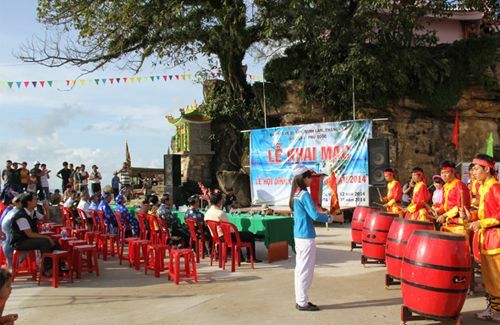 Character of the festival of Phu Quoc Palace: At the festival, the ceremony is solemnly held in the grounds of Dinh Cau. The priests carry out the tasks such as the ceremony, the ceremony, the ceremony ... at certain hours on 15 and 16 of the lunar calendar. Part of the ceremony is to pray for the fishermen of the sea island as well as a good business season. 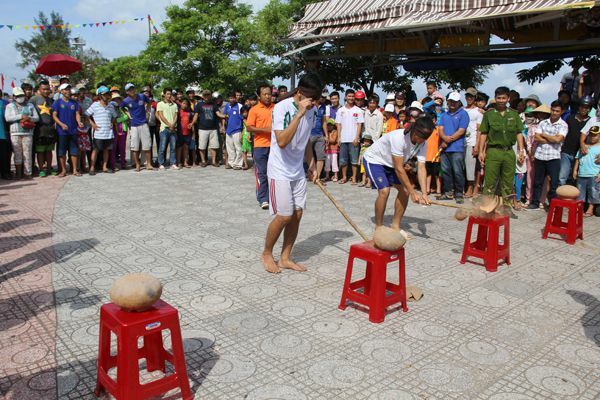 During the festival, the most exciting is the festival with many competitions, games that take place on the sea and on the shore near Dinh Cau area. The game attracts crowds as well as tourists to play and cheer in the air as exciting as watching the boat race on the sea, catching duck in the sea, stilts, smashing pots, dance bags ... The most fun is catching the duck in the sea. 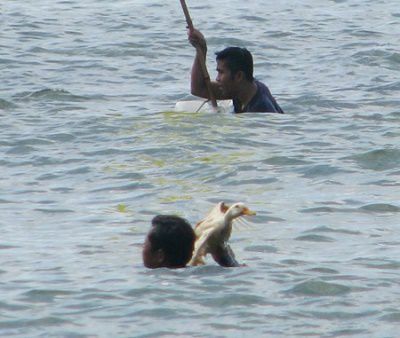 Dozens of ducks are carried out on the sea about a few dozen meters away and people can swim out to catch ducks brought home. It is not easy to catch a duck because it has to swim while catching waves while the waves are continuous, people are white-handed, someone caught 2-3 children. Phu Quoc Dinh Cau Festival certainly many other things you need to explore. Travel Phu Quoc soon to explore the other outstanding festival on the Pearl island.